Since its inception and to date the main activities of the Istanbul Network has been the annual conference and a significant product of those conferences is the book Islamic Foundations of a Free Society published by the Institute of Economic Affairs in 2016. It is co-edited by Dr Nouh el Harmouzi founder and CEO of the Arab Center and Linda Whetstone of Network for a Free Society and has already been or is being translated into Arabic, Dari, Turkish, Indonesia and French (often with support from NFS) and will be widely promoted in countries where these languages are spoken. As soon as it was published in English it was being explored and discussed in Afghanistan at open meetings and will be promoted much more widely there now it is available in Dari. NFS has supported INFoL for a number of years and including its annual conferences and this year for its registration in Malaysia, employment of Ali Salman and a part time blog/IT manager and now a professional CEO, Ali Salman. It is hoped this will enable INFoL to raise more money and achieve its new business plan. In May 2017 NFS arranged a discussion for the Istanbul Network with the Henry Jackson Society in London which can be heard on this link. Speakers were Dr Alan Mendoza, Chair and Director of Henry Jackson Society; Mohammed Amin, chairman of the Conservative Muslim Forum but speaking in a personal capacity; Azhar Aslam founding member of the Istanbul Network and author of chapter in the book and Dr Usama Hasan, Head of Islamic Studies at Quilliam. 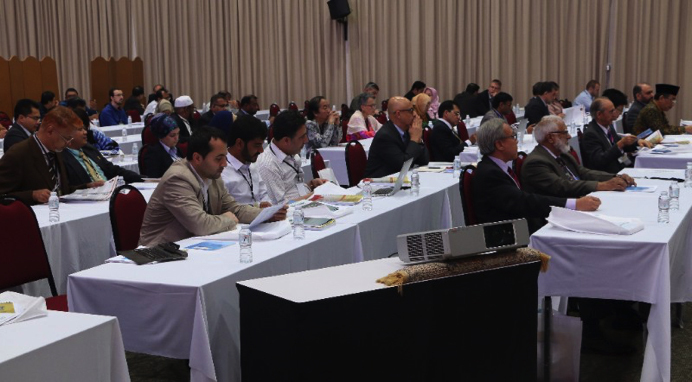 In November the 2017 international conference, attended by 120, was held in Kuala Lumpur on Democratic Transitions in the Muslim world and it is receiving significant media coverage. Three were 30 speakers who presented papers from all segments in Muslim majority regions- Middle East, North Africa, South Asia, South East Asia, Central and West Asia and was able to present a complete survey of democratic transitions. The papers discussed democracy from very diverse perspectives and talked about Rule of Law, Human Rights, Globalization, Secularization, Liberal values, Political Islam, Middle class, authoritarianism etc. Events have been held in many majority Muslim countries as well as the UK. It has an active websites with many blog pieces. It has a monthly newsletter sent to hundreds. 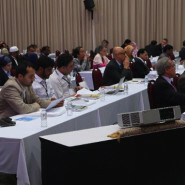 A conference Democratic Transitions in the Muslim World in Kuala Lumpur in November 2017. The book Islamic Foundations of a Free Society was a definite out come of the previous Istanbul Network conferences since 2011. It has now been translated into Turkish, Arabic, Dari, Indonesian and French and promoted widely on line and is available in hard copy in Turkish and Dari. It was used for an online course by Students for Liberty and has been discussed widely at events in Afghanistan, Turkey and Indonesia. Copies of the book have been sent by the IEA to many other countries.